When it comes to breaking royal protocols, Princess Eugenie of York is a pro. The younger daughter of Queen Elizabeth’s son, Prince Andrew, is a royal rebel who does things her own way — even if that means bending Her Majesty’s rules. 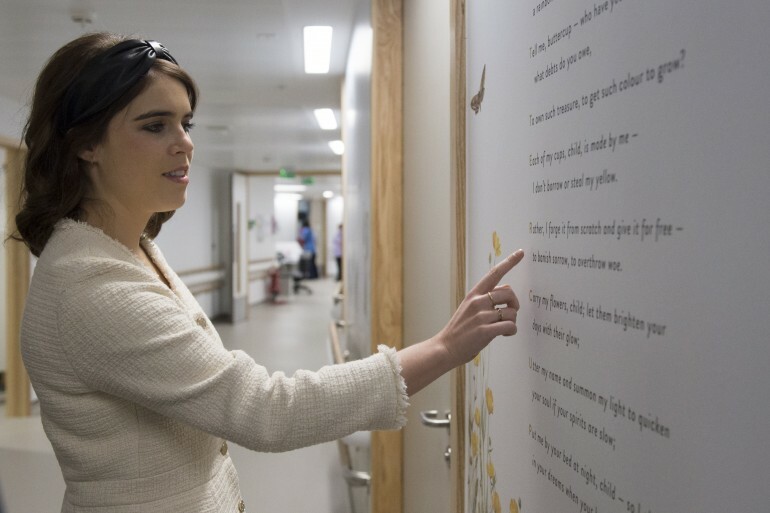 Here are the times Princess Eugenie broke royal protocols and didn’t care. By tradition, marrying royals have customarily multitiered Christmas-style fruitcakes as their royal wedding dessert to signify the intricate personalities of the new couple. This tradition reaches far back to Queen Victoria’s wedding day in 1840. For her wedding to Jack Brooksbank, however, Princess Eugenie chose a red velvet and chocolate cake inspired by the vibrant colors of autumn. It is a royal protocol that royal women should never show their bare legs in public, but Princess Eugenie loves showing hers sometimes. Once she attended a race at Ascot Racecourse and skipped her legwear. She also flaunted her legs at the Annual V&A Summer Party at the Victoria and Albert Museum in 2017, this time with her sister Beatrice joining her. Hats are a major part of royal fashion, but they are still bound by royal rules. First, they should not be attention stealing. Second, they should not be impractical. Princess Eugenie always breaks these two royal rules whenever she goes out with her standout and over-the-top hat choices. Royals are supposed to reserve their all-black outfits for somber or commemorative occasions. However, Princess Eugenie sometimes wears all-black outfits when attending events. She did it when she attended the European premiere of “Jane” in October 2017. Royals are not supposed to have their own social media accounts, but the times have changed and this rule has been relaxed. Although Prince William, Kate Middleton, Prince Harry and Meghan Markle still do not have their personal accounts, Princess Eugenie does, and that’s okay. Royal women typically wear heels, not because they want to but because it’s Queen Elizabeth’s order. For some reason, the Queen does not allow royal women to wear wedges, despite them being more practical and comfortable than heels. However, there is no stopping Princess Eugenie from wearing them. She broke the wedge code when she wore a pair at a garden wedding at Buckingham Palace in 2013 and broke it again when she attended the Coronation Festival Evening Gala later that summer. Minis, strapless tops, low necklines — name it, Princess Eugenie has surely worn it. Queen Elizabeth is modest when it comes to dressing up, and she wants the rest of the family to be modest, too. However, Princess Eugenie has broken this royal rule countless times by wearing mini-skirts, tube tops and low-cut dresses at events. Aside from Princess Eugenie’s wedding dress featuring an open back, it also did not come with a veil. Royal brides are supposed to wear elaborate veils on their wedding day, but Princess Eugenie chose not to do so in order that she could show off her scar from her spinal surgery when she was only 12.